There are two quick pick methods in our Quick Picker. One method is that your computer generates numbers, in which you have no control what you are going to get. Those computer-generated numbers are completely random. 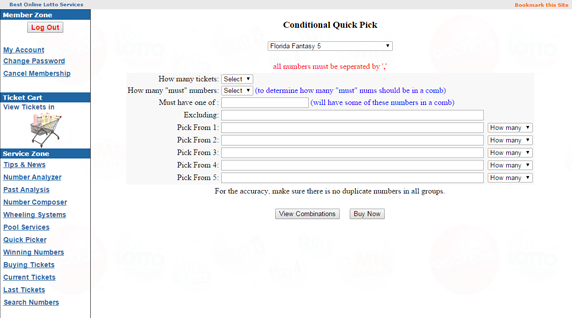 Another quick pick method we call it Conditional Quick Pick in which you may get one or more numbers from a group of numbers, or you can exclude the numbers which are not likely to come for the next draw.